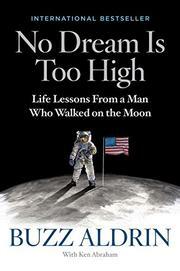 The astronaut recounts life lessons learned from his historic Apollo 11 moonwalk in 1969 and beyond. In this rambling, loosely structured, and frequently awkward hybrid of memoir and motivational self-help guide, Aldrin (Mission to Mars: My Vision for Space Exploration, 2013, etc.) treads heavily on familiar ground touched on extensively in other accounts of the moon mission, such as First on the Moon (1970), co-authored with fellow astronauts Neil Armstrong and Michael Collins, and Aldrin’s own previous memoirs, also relating to the Apollo 11 mission and his later struggles with alcoholism and depression. Aldrin attempts to shed light on some of the lessons he learned along the way. The author focuses each chapter on an inspirational message—e.g., “Keep your mind open to possibilities,” “Maintain your spirit of adventure,” “Keep a young mind-set at every age.” The message is sometimes disjointed. In “Second Comes Right After First,” Aldrin initially tells of how he came to embrace being the second man to step foot on the moon, following Armstrong, yet he spends much of the chapter asserting his claims for having been “first” in other areas of space exploration. Though the author has remained a dedicated and forceful advocate for the United States to continue planetary exploration, generously participating in fundraisers and providing educational support whenever needed, he has also increasingly applied his celebrity status to numerous guest appearances on TV shows such as 30 Rock, The Big Bang Theory, and The Simpsons and as a contestant on Dancing with the Stars. A few of his lessons boast of these appearances and his ability to successfully mix with the various talent. A retread of old material repackaged as an inspirational guidebook. Though aiming to inspire readers of all ages, this will likely appeal to an older readership and devoted fans of Aldrin.